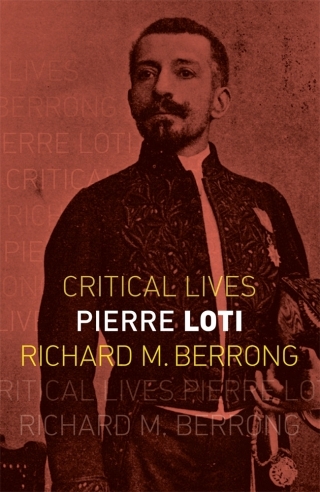 Few authors have led lives as interesting as the French novelist and travel writer Pierre Loti (1850–1923) – nor have they worked harder to make it appear even more romantic than it already was. As a career officer in the French navy, Loti participated in expeditions that took him to places that even today seem exotic to Westerners. For four decades he published a series of novels, travelogues and autobiographical narratives, some of which went through hundreds of editions in France and were translated into dozens of languages around the world. With financial and artistic success came notoriety, which Loti delighted in enhancing by staging elaborate costume balls – to which he invited the photographic press. He was also sought out by some of the artistically inclined royalty of the day, including Princess Alice of Monaco and Queen Elizabeth of Romania, and the beloved actress Sarah Bernhardt had him write plays for her. His notoriety hurt his standing as a serious author in his last years, but it takes nothing away from the best work of a writer whom Henry James hailed as a ‘remarkable genius’. Willa Cather confessed that she ‘would swoon with joy if anyone saw traces of Loti in her work’. The extravagances of his often very public private life make his biography as astonishing as his art. Richard M. Berrong is professor of French literature at Kent State University. 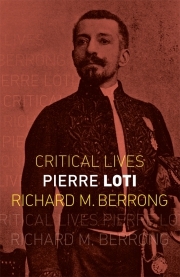 He is the author of two previous books on Loti, Putting Monet and Rembrandt into Words: Pierre Loti’s Recreation and Theorization of Claude Monet’s Impressionism and Rembrandt’s Landscapes in Literature (2013) and In Love with a Handsome Sailor: The Novels of Pierre Loti and the Emergence of Gay Male Identity (2003).